The result appears here. The y-axis measures Density — a concept related to probability. The graph is called a density plot. 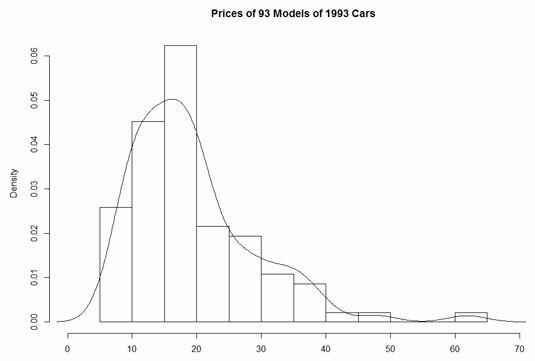 Density plot of the distribution of prices in Cars93. The graph now looks like the following image. 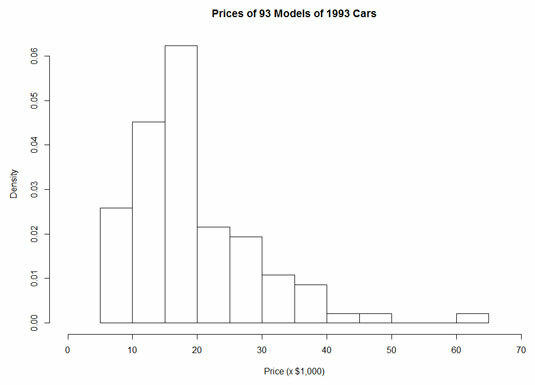 Density plot with an added line. So in base R graphics, you can create a graph and then start adding to it after you see what the initial graph looks like. It’s something like painting a picture of a lake and then adding mountains and trees as you see fit.